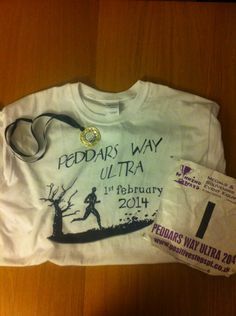 I had planned a systematic build-up to this years ultra marathons, by entering a 10 miler, half marathon, full marathon then the first ultra of 2013 in July. Seemed like the sensible thing to do. 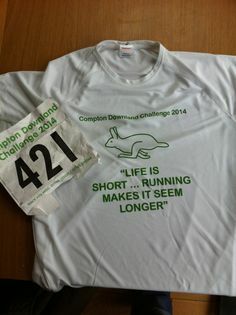 Well… July seems a long way off… And I stumbled across what looks like a great ultra, Compton Downland Challenge. There’s a 20 mile and 40 mile option. On Saturday 6th April. 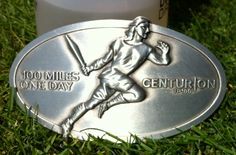 So I’m going to ignore my plans and sneak an ultra in between the half and full marathons. I’ve covered 38 miles before so the 40 mile option should be do-able. It’s mostly on footpaths and bridleways, follows a figure of eight pattern and sections of this are on the Ridgeway. So it also gives me a chance to recce territory I’ll be covering at Race To The Stones in July. It’s great value with free ‘indoor camping’ on the night before, 8 checkpoints, a hot meal at the end – all for £18. This was a brilliant event. Very well organised and friendly. The course was a lot hillier than I’m used to, but great fun none-the-less. Met some really nice folks and had a good run, I’ll be back next year for sure. This years t-shirt has the words “KIMBIA KAMA UPEPO” which means “Run like the wind” in Swahili.